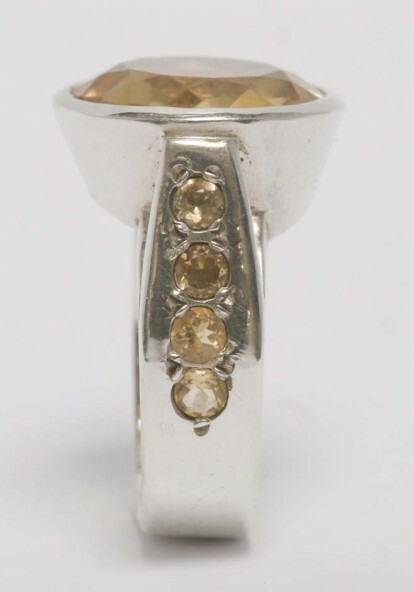 Quite large round faceted citrine with four small faceted stones on each shoulder. Moderately high modern setting and good colour. Clean jewellery regularly with a silver polishing cloth to prevent the build up of damaging tarnish. 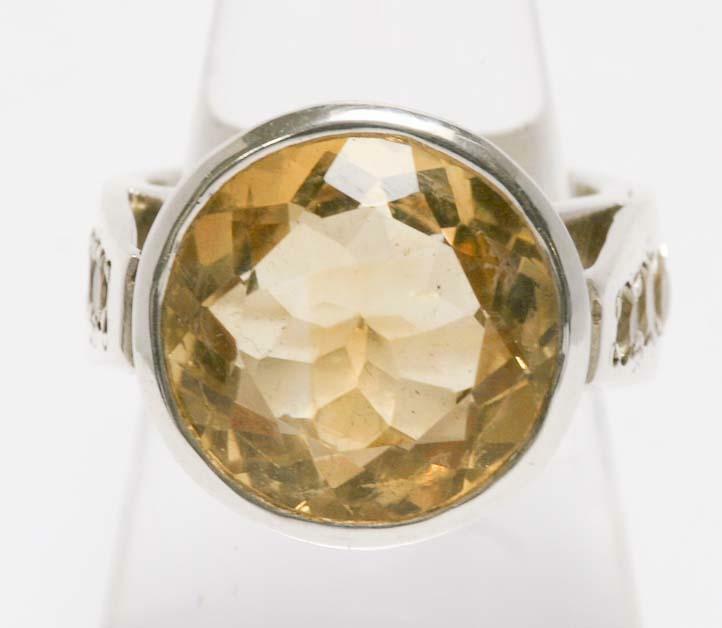 The stones can be gently cleaned with a soft toothbrush and warm soapy water and rinsed clean. Take care not to dislodge stones.